KB Concrete Systems provides commercial concrete construction services, in the state of Colorado, and surrounding areas. 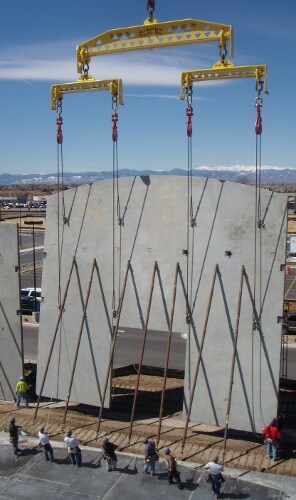 KB Concrete began work in the Denver Metro area in March 2004: proprietors Greg Kreiling and Scott Bunney. Both have a general contractor backgrounds and perspective. They offer innovative ideas in field construction, coordination, scheduling, budgeting and quality craftsmanship. We are able to provide our clients a complete concrete bid package, along with pre-construction services, materials, labor and the equipment required to complete each specified project. Our field staff offers an in depth background to commercial building construction. We take pride at KB Concrete knowing that we have the ability to trouble shoot problems before they become costly field mistakes. Our goal is to provide our clients with quality concrete products that are plumb, level and square, this then sets the standard for all other trades that follow. At KB Concrete Systems no job is too small or too big to deserve full service at competitive pricing. We will exceed quality on all terms. We are ready for your call.